Ron and Maggie Tear Photography: Between the Flags. Seascapes are a demanding subject, as here on Fistral beach in Cornwall. 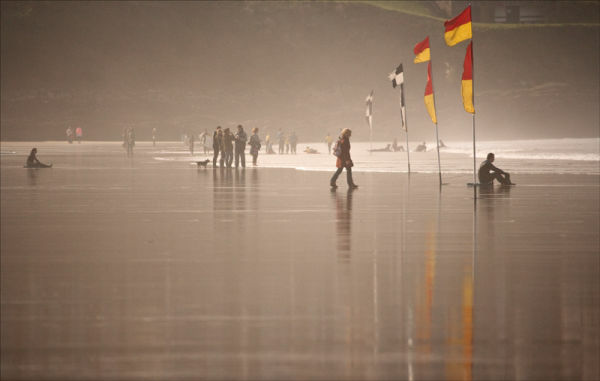 It was the light shimmering on the wet sand, the flags to show new surfers the safe area's to add colour. It was magical from a photographic viewpoint.